Nothing is ever worth anything until you give it value, money only exists because we agree to accept it as valuable, not because it actually is. For millennia, money has been the artificial method of distribution, many might have to think about the artificiality of money for a minute, because this is all many have ever known. Money is a concept and a symbol that is powerless and inert but yet it is used for the control of society and the world. People don’t realize that they are giving away their very own life force like rechargeable batteries running on the hamster wheel while powering a monetary empire. We don’t want to admit that our dependency on money is flawed because that would suggest that we are at fault and that our consciousness and our own ignorance is the problem within society itself, and not the money. 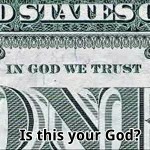 The idea of money is one of the primary avenues for giving our responsibility and our conscious energy away, and God forbid that we take personal responsibility for our lives, so we’ll just blame the money, like religion and the ego will blame the devil for all the evil that is within the world, when it is actually within us. 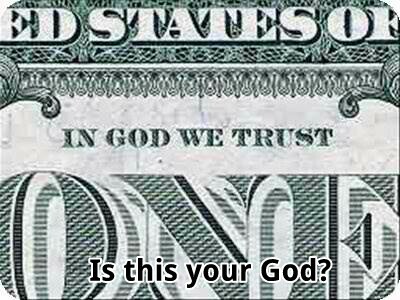 The symbol of money has created the illusion of limits and separation of the human consciousness. The concept of money will turn brother against brother, spouse against spouse, neighbor against neighbor and so on, it has has created illusionary borders and walls around land and around the fruits of the earth. It has created boundaries around materialistic possessions, and has created a prostitution of the human body and mind in the form of modern day slavery because people will submit themselves to do things that they don’t love, but do them because they are paid to do them, and not because of love, which defines prostitution. Love is what you would do for free if we didn’t need money to get around the world. Humanity is capable of doing so many amazing things, but we don’t go through with them because of funding. We are capable of exploring the outer reaches of space, colonizing other planets within our solar system, like Mars. We can find cures for “un-curable” diseases, create and invent new technologies, break records and set new benchmarks. We can feed, clothe, and house every man, woman and child on this planet. But we don’t because of funding. We are being held back from our own evolution as a species by a very few that ignorantly need to get paid to fulfill their empty greed and avarice. We won’t see the greatness within humanity until we collectively can see beyond the blindfold of money. Money is an illusion that is created out of thin air, this must-see video below will change your view on money! Open your mind!